From the fantastic scenery of Masafi wadi we drove down to the littered beach next to Fujairah port. It really is a sad sight, with all the garbage lying everywhere. Not that it is much better in Sweden but still. This long, serene sandy beach could have been so beautiful but instead there was this litter and tracks from cars everywhere. Apart from the litter on the beach, the waves this day were quite fascinating. According to Mark, he had never seen waves this big here before. before (or after?) the Hormuz strait. 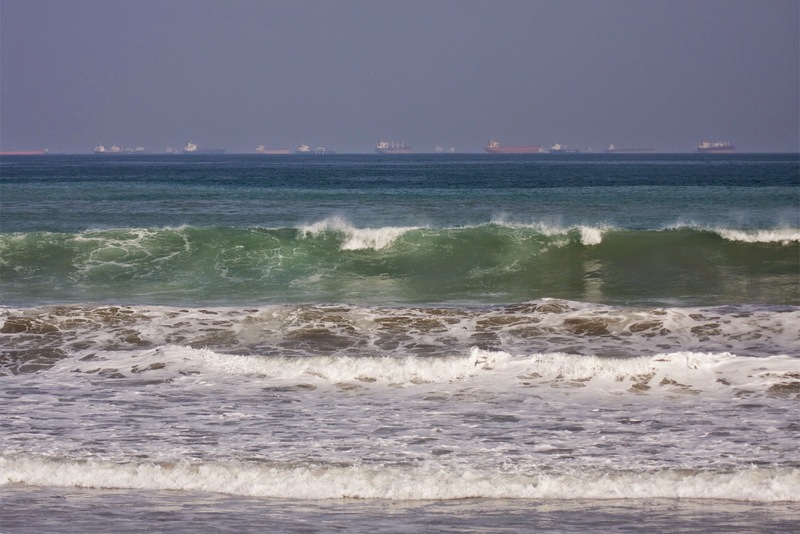 The waves were the aftermath of a sizeable storm in the Indian ocean. It didn't hit the arabian peninsula but rather India, if I remember correctly, and cased quite some damage there. The birding consisted of driving up and down the beach and checking everything that made a move. Below are some photos of some of the birds. The most interesting bird was, what we believed to be, a Black Tern. Mainly because of the big dark patch on the neck, which is typical for a Black Tern. However, when examining the photos more closely after arriving in Sweden, it was clear that this was a Whiskered Tern (skäggtärna, Chlidonias hybrida). 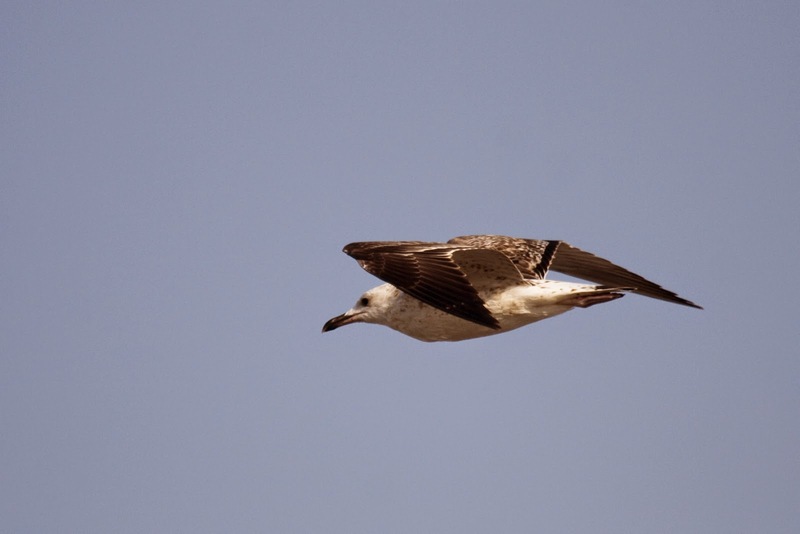 A Black Tern would have been somewhere around the tenth finding in UAE, but Whiskered is quite common. The Whiskered Tern which we, at first, thought was a Black Tern. The black spot on the neck can be seen clearly here. 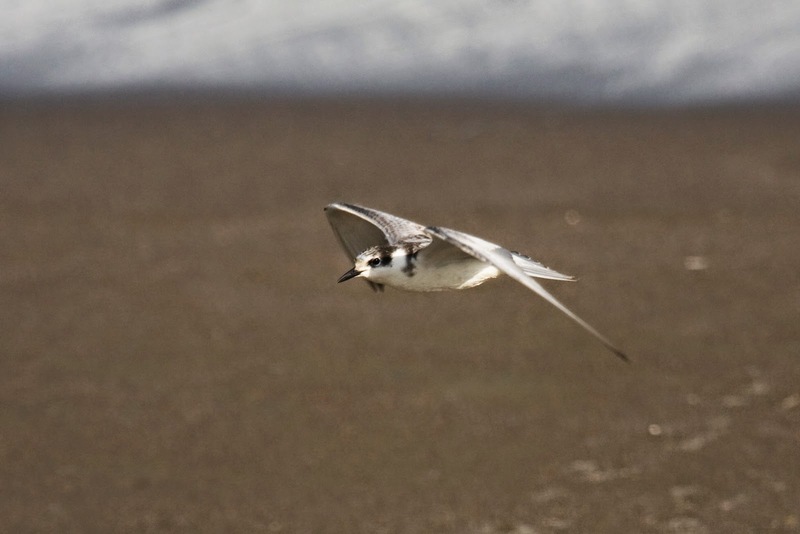 With the help from some of Sweden's best birders (through facebook), other photos showing Whiskered terns with black splotches on the neck could be found. Some more clues for the identification of this bird could be found in this photo. 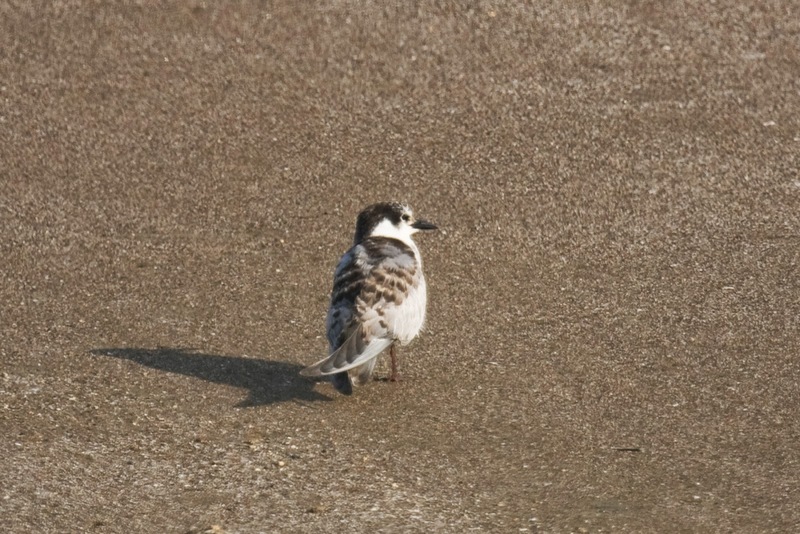 The back pattern shows clear resemblance with a Whiskered Tern. 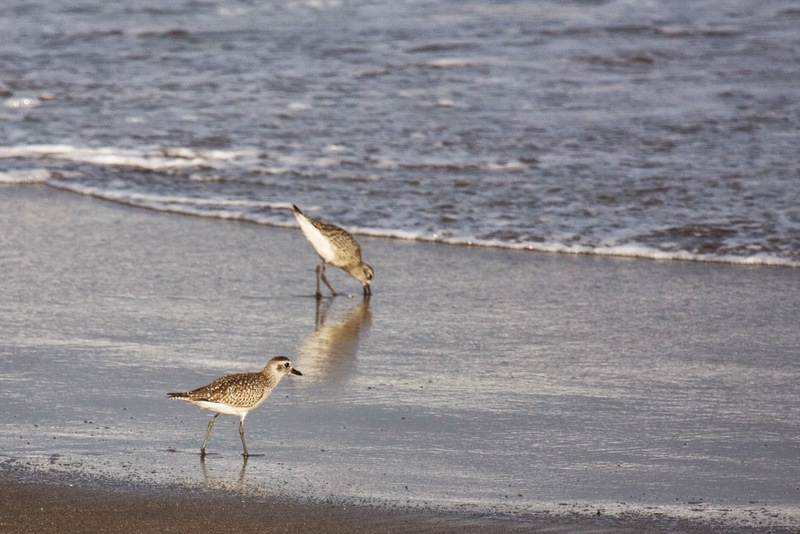 A couple of Grey Plovers were running up and down the beach as the waves crashed in. 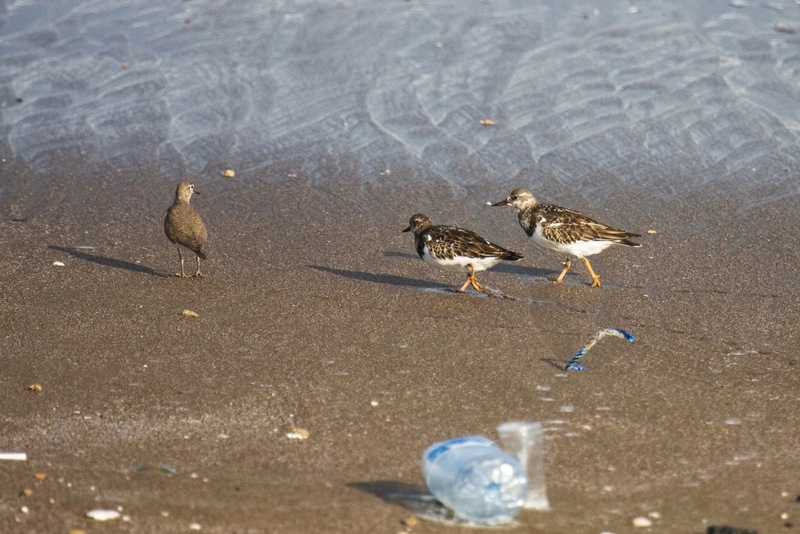 Turstones and a Common Sandpiper and some of the litter, I wrote about at the top of this post. 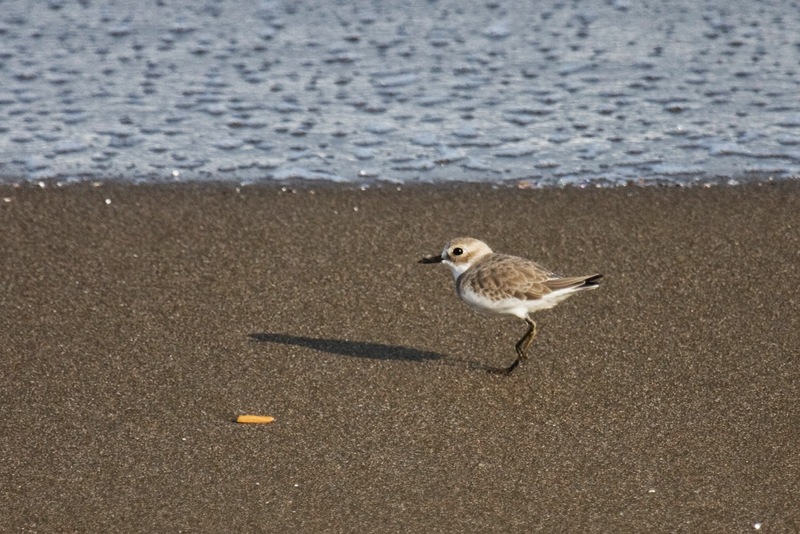 The Sanderlings running in their very typical way is always a nice sight. 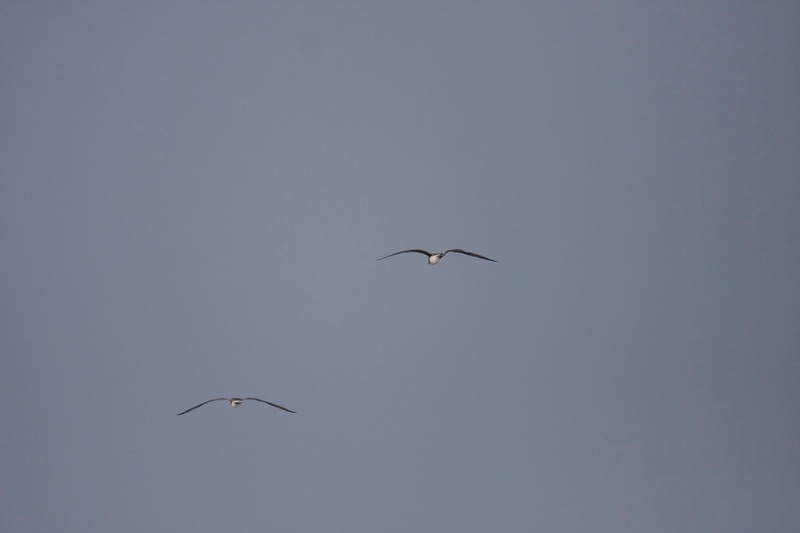 The only photo of the Sooty Gulls. Suddenly they came back but they dissapeared immediately agian. 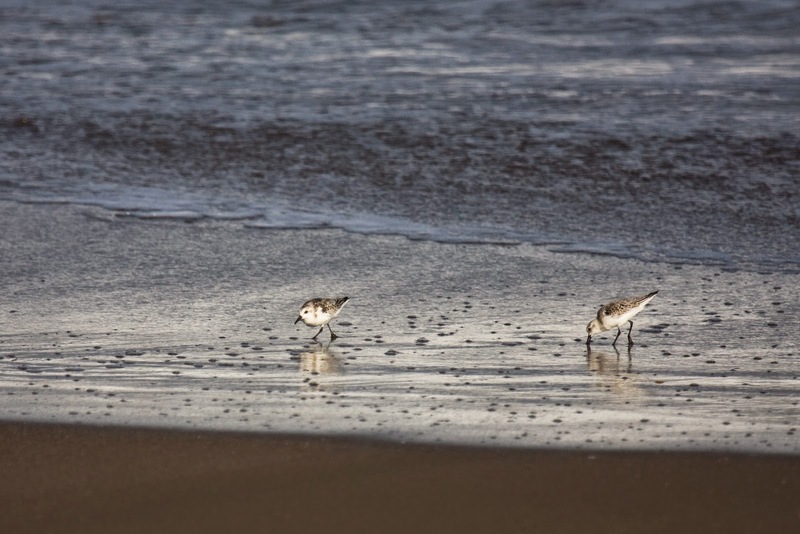 The Lesser and Greater Sand Plover are two of my favourite birds. 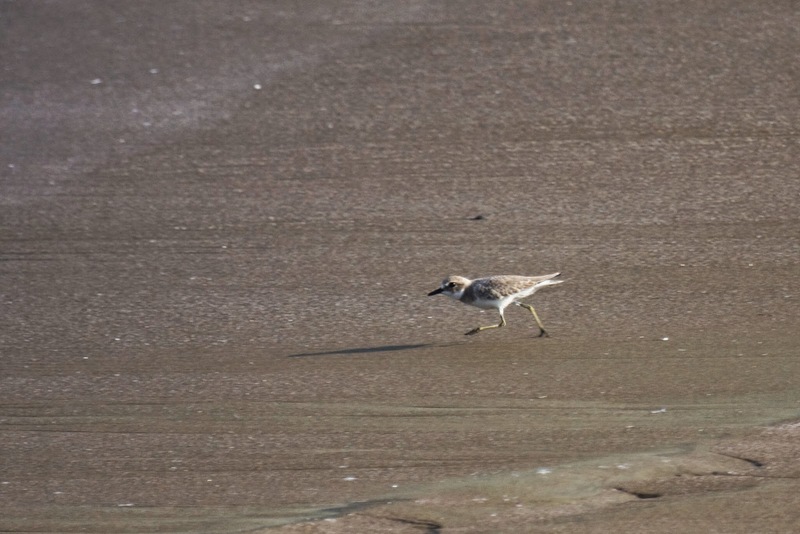 I have yet to see them in Sweden but with these visits to UAE (and the visit to Oman, which will take place during autum -2015) I should now have the experience to be able to tell that it is a Lesser or Greater Sand Plover if I ever found one. 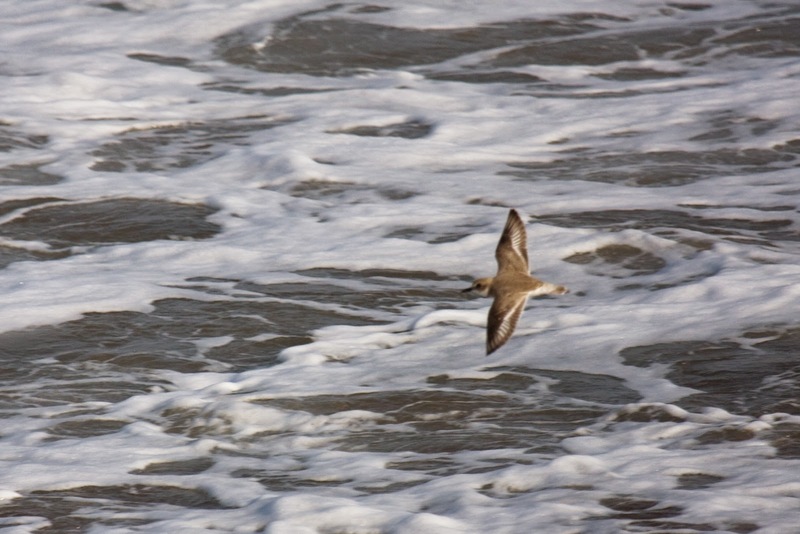 One Greater Sand Plover put on a little show for us, running close and then giving a short flight over the waves. We had time for one short detour on the way back to Dubai. 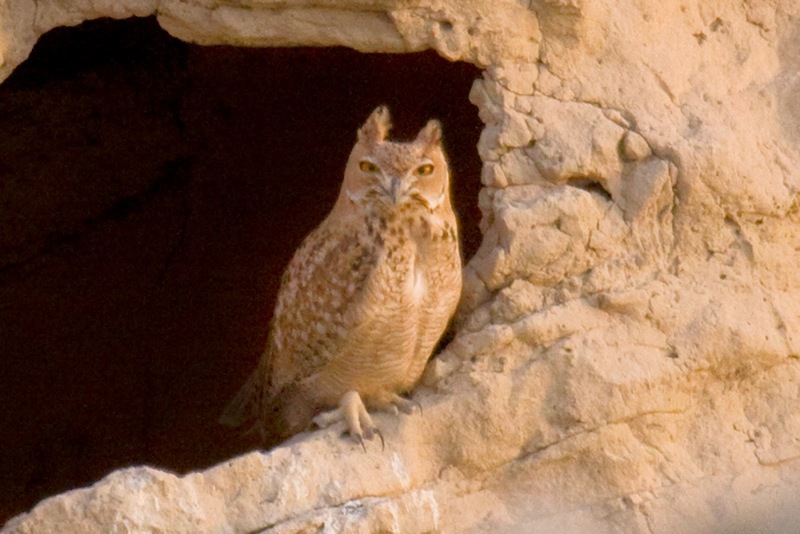 Mark knew of a location for a Pharao Eagle Owl, a real dream bird!! (Don't know if you can say dream bird, might be a direct translation from Swedish). Actually, this place - the Dubai Investment Park - had more life than I would have expected. 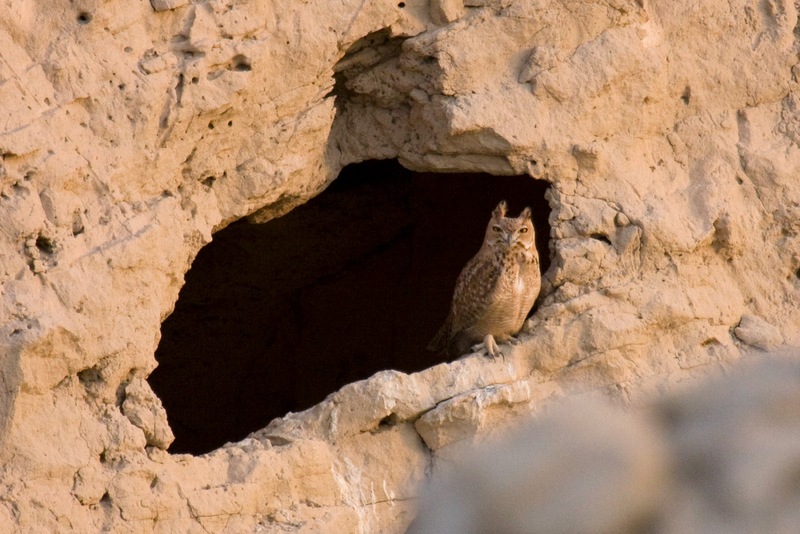 Both Red-tailed Wheatear and Steppe Grey Shrike could be found in the desert. The hole, where the Eagle Owl should be, lies very close to a new road, currently being built, and there was someone looking at us when we were walking towards the Owl. 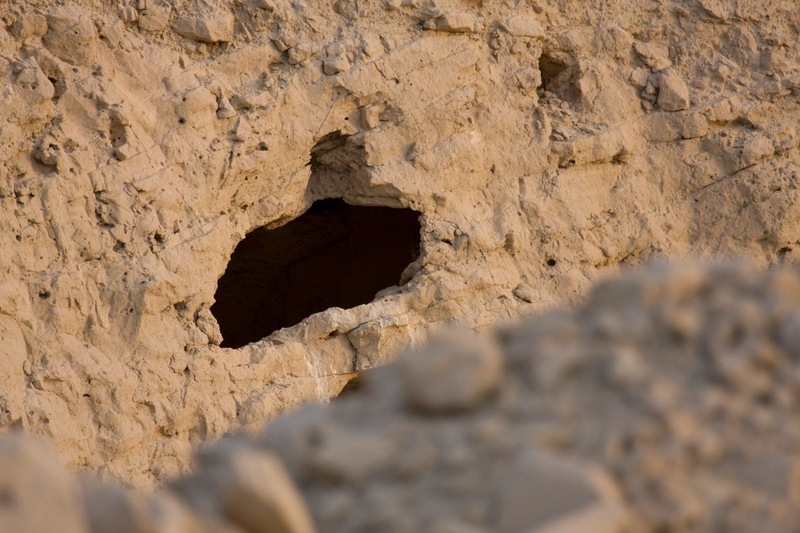 So, we took a little detour, we did not want to expose the nest hole. In the end we walked to the place and there it was. Remarkable!! What a creature. The perfect ending of this day. 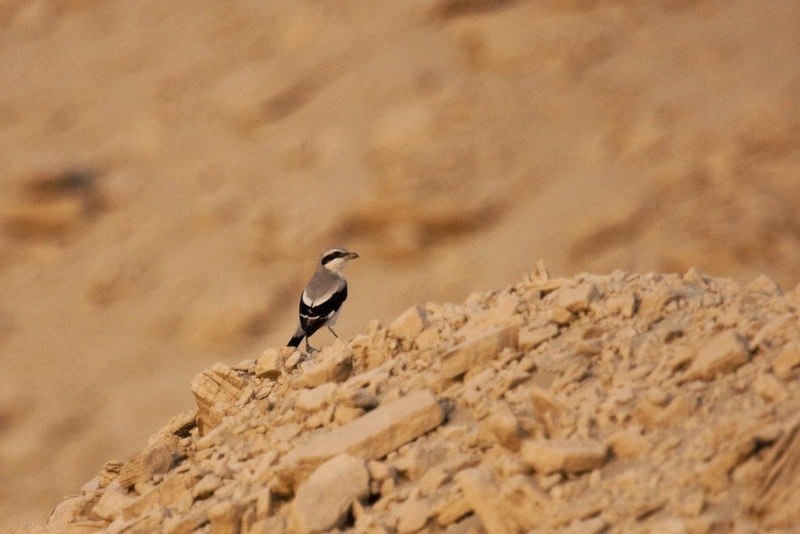 A beautiful Steppe Grey Shrike in the middle of the desert. A close up of the other photo. It is not really sharp when clicking the photo but... what a face! I could have stood there the rest of the evening. 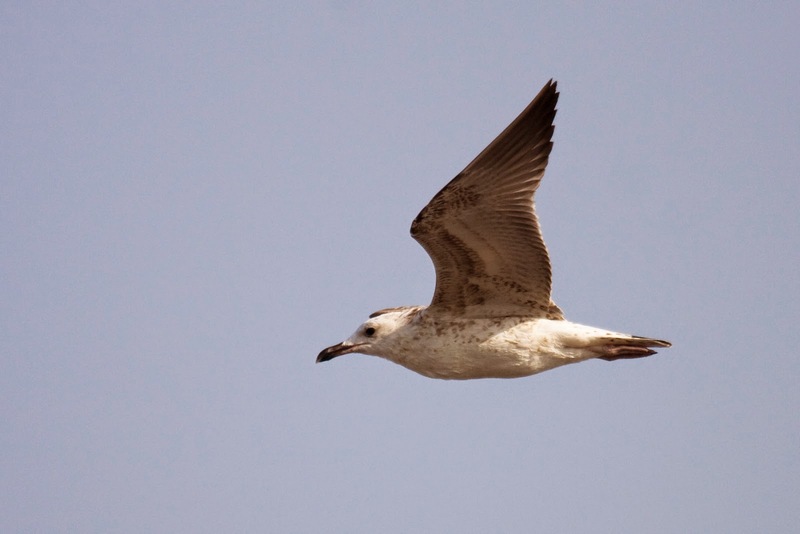 New species: Sooty Gull, Caspian Gull and Pharao Eagle Owl.